Episodic, or serial, novellas are nothing new. But with the tidal wave rise of electronic publishing and the exponentially increasing sales of e-readers, series of shorter novels are seeing a resurgence. Hugh Howey, for example, is having great success with his run of interrelated stories called Wool. The first book, a 60+ page read, has made the Top 5 Kindle sales for Science Fiction and garnered over 100 5 Star reviews at Amazon. This is really quite amazing given that the story is 99 cents and many "bargain" shoppers (this is my bias speaking) don't appreciate a bargain read. Some have mentioned that Howey's "books" are quite short. Well, of course, they are novellas. If you read the story description of Wool 1, 2, 3, and 4, you'll note that these are self-contained stories that happen to follow a natural story arc. Granted, most end with a cliff-hanger that almost forces you to buy the next in the series. But as Howey points out on his blog, if you spend $3.96 on all four books you'll have purchased the equivalent of a 100,000 word novel. A bargain by any standard. Evidently, Howey's fans are happy with the agreement and clamored for a fifth story in the series which he recently released to rave reviews. Of course, Howey isn't the only one tapping into readers' desires for an ongoing series of well told tales. Grafton will have 26 of them soon enough. Evanovich has no end in sight. These are full blown novels, sure, but the principle applies. Especially in this new digital era, I believe that shorter novels (and serial novellas) will become common once again (as they were during the Golden Age of SF). But every era has examples of this trend. In 1996 Stephen King released six 100 page stories that together were titled The Green Mile. 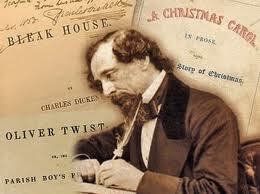 Charles Dickens (a few years before King ;) wrote most of his epics as episodic tales that appeared in the magazines of his day. You get the picture. It will be fun to see what actually pans out this time around. UPDATE: What great timing! To prove my point, the good folks at Every Day Fiction have just launched Every Day Novels - "serialized novels a chapter a day." Sounds fun! For what it's worth, my take is that we're at the beginning of another resurgence of novella popularity and, as a writer, I'm looking forward to going along for the ride. Thus my new series, Worm. Here's the blurb. A failure at most everything, William Randall Monro, Worm to everyone who knows him, can't even stand up for himself. Bullied and abused since first grade, Worm is close to the breaking point. When his mom's latest boyfriend crosses a line, 17 year old Worm takes matters into his own hands. Consequences be damned. Worm's larger story will be told as a series of interrelated novellas (about 20k words each). At times stark and often jarring, this foray into the inner life of William Randall Monro adds a psychological layer to contemporary urban fiction and speaks to the harsh reality many bullied victims face. Here's how I see it unfolding. When things change, I'll let you know. Good luck! I think the series idea is a great one (obviously)...though I also think a lot of it depends on the first offering grabbing their interest.